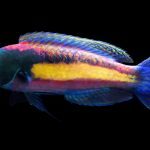 One of the most rarely seen fairy wrasses, Cirrhilabrus sanguineus, has just been collected for the first time in many years, and you’ll probably need to ready yourself for some sticker shock. 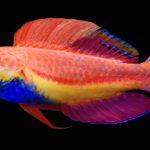 These specimens are set to become some of the most expensive wrasses to ever hit the aquarium market. The Bloody Fairy Wrasse is a fabled species among labridophiles. It was first found by the legendary ichthyologist Jack Randall during a study of mesophotic fishes in Mauritius. 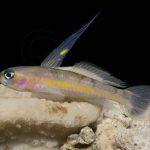 Randall had every intention of being the one to scientifically describe this beautiful new fish, but he was unexpectedly scooped on his own discovery when he shared photos of it with an individual named Alain Cornic, who was at the time working on a guide to the fishes of Mauritius. Now, it’s not uncommon for an undescribed species to find its way into into a field guide, but it’s absolutely unheard of for someone to take the initiative to actually name a new species without informing the researcher that’s working on it. This is what Cornic did by naming Cirrhilabrus sanguineus (and also Paracheilinus piscilineatus, which he had incorrectly placed into Cirrhilabrus). Needless to say, Randall was irate at this situation. Making matters worse, Cornic made little effort to actually describe the fish, doing little more than publishing a photo alongside his brand new nomenclature. Stable rare fish. 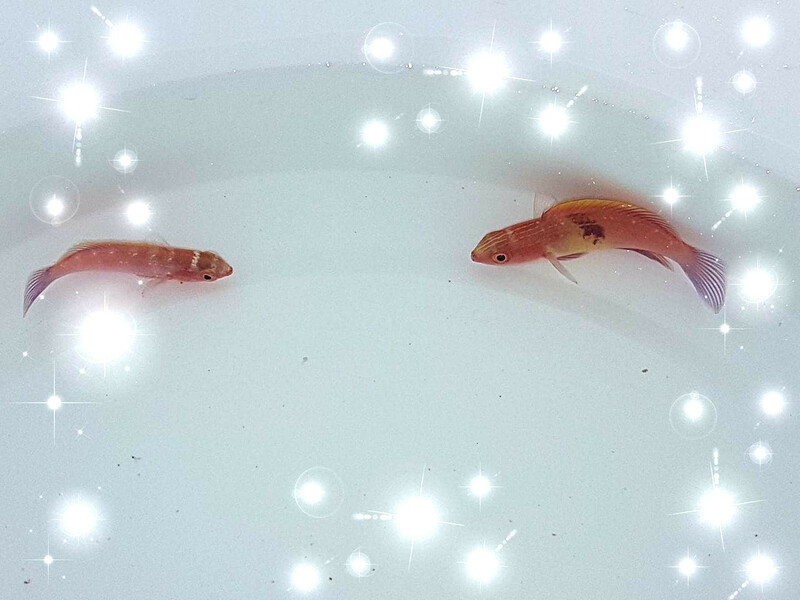 Newest addition: Cirrhilabrus sanguineus pair. Unfortunately, this field guide, Poissons de l’Ile Maurice (1987), is now virtually unobtainable, but Randall would eventually go on to redescribe the species in 1995, which must have been a bittersweet moment. To Cornic’s credit, he at least gave this fish a great scientific name. The epithet sanguineus comes to us from the Latin for “bloody”, in reference to that weird haemic blotch present in males. Similar markings in other fairy wrasses (e.g. the dark opercular and dorsal scales of C. solorensis) are part of the fluorescent nuptial patterning, and this is likely to hold true here as well. Hopefully this can be studied with one of these specimens. To date, the species has never been found outside of Mauritius (though it is expected elsewhere in the Mascarenes), and, as a member of the Cirrhilabrus lanceolatus group, it can only be encountered in mesophotic (and rariphotic?) reefs below about 40 meters. These new specimens were taken at closer to 70 meters by a well-known aquarium collector brought in specifically to find it. But this sort of technical diving is not something that is done by the local collectors on the island, which helps explain why it’s been so long since anyone has seen this fish (and why it’ll likely be a good long while until we see it again). In total, 5 pairs plus a lone male are being offered for sale. 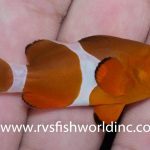 One of these pairs has made its way to Iwarna Aquafarm in Singapore, while the others are, to no great surprise, headed to Japan’s famed Blue Harbor (along with another rarity from this region of the Indian Ocean, a Debelius AngelfishCentropyge debelius). 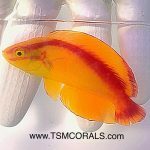 Rumor has it, these wrasses will cost more than Cirrhilabrus claire did when it first appeared a few years back.